It has just been announced in a report published by the Justice Select Committee that the notoriously complex and ruthless Joint Enterprise law needs to be urgently reviewed. The report found that defendants were in danger of being convicted for the most serious crimes, such as murder, when only a lesser crime has truly been proved against that person, such as manslaughter, or just being present with the person who committed the more serious crime, perhaps originally for a criminally common purpose, when it occurred. 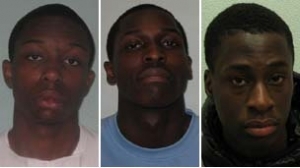 Concerns have especially been raised that the law of joint enterprise is being used to arrest young men from ethnic minorities in a haul-in approach in gang-related attacks and murders. This is a well and often voiced concern, and this racial element has long needed serious review. But the joint enterprise law has been controversial for well over half a century, and irrespective of colour or race. Perhaps the most notorious use of the joint enterprise law was the conviction for murder of Derek Bentley in 1952. December of that year saw the trial of Christopher Craig, aged 16, and 19-year-old Derek Bentley for the fatal shooting of PC Sidney Miles while trying to rob a Croydon, south London warehouse. Craig had fired the shot, but there was no proof that Bentley had known that his younger friend was carrying a loaded gun that night (Bentley himself was carrying a knuckleduster), and Bentley was already in police custody on the warehouse roof when the shot was fired. Bentley also had learning difficulties, with a mental age of twelve, and was epileptic. But the death penalty was secured on Bentley under the law of joint enterprise, with the police evidence citing Bentley as having said â€˜Let him have it, Chris,â€™ which was almost definitely never said and Bentley adamantly denied saying it. And even if he had, it could well have been a plea to Craig to hand over his gun to the police once he realised that Craig had a revolver. Craig was too young to hang. There was a huge public call for clemency, and a petition was signed on Bentleyâ€™s behalf by over 200 Members of Parliament, all to no avail, as the Home Secretary Sir David Maxwell Fyfe refused to commute the death sentence, and it was duly delivered in early 1953. Forty-five years later in 1998, Derek Bentley was pardoned. Just a few months after Bentley went to the scaffold, another miscarriage of justice occurred under the law of joint enterprise. There was a scuffle on Clapham Common, south London, in early July 1953 between two groups of teddy boys, aged from mid-teens to early twenties. Tragically, after a chase, a 17-year-old named John Beckley was stabbed to death. The other group of â€˜tedsâ€™, known as the â€˜Plough Boysâ€™ after a local pub, were soon arrested, and stood trial. But only one, 20-year-old Michael John Davies, was convicted of murder - others faced the charge of common assault. The only evidence against Davies was witness evidence from a young woman, which was very unreliable (it was dark) and Davies was never put on a formal identity parade. Davies admitted he was there, but was adamant that â€˜I didnâ€™t use any knifeâ€™. He freely admitted using his fists. Davies was sentenced to death, but luckily for him this time Sir David Maxwell Fyfe eventually responded to petitioning, and reprieved Davies. He was given life imprisonment and served seven years, but had been very close to suffering the same fate as Bentley. Fast forward forty years, and there was the venal murder of Stephen Lawrence, the black teenager killed by a white racist mob in Eltham, yet again in south London, in 1993. The widespread public revulsion and exposure of deeply-embedded and endemic institutional racism and dirty tactics used by the Metropolitan Police in spying on the Lawrence family brought about change and long overdue police practice review amid huge controversy which has continued until the present day. But the only two of that racist mob finally found guilty of that murder in 2012, Gary Dobson and David Norris, received their life sentences under the law of joint enterprise. There was no burden of proof that either of them had wielded the knife or knives that stabbed Stephen Lawrence to death. They were there -forensics prove that: a tiny bloodstain from Lawrence on Dobsonâ€™s jacket and a hair belonging to Lawrence on Norrisâ€™s jeans. But did they set out that night with the intention to murder someone; was there a common purpose or agreement to commit homicide? The prosecution argued at the trial that it did not matter if Dobson and Norris did the stabbing, only that they were knowingly part of an attack that could end in serious harm. Joint enterprise strikes again. The fact that the Justice Select Committee report will lead to a review is very positive news, at long last. There is a strong racial element - 37% of those serving long sentences under joint enterprise are black, a very disproportionate number in relation to the entire prison population, in fact three times as high. This has to be addressed. But the law of joint enterprise needs truly rigorous examination and redrafting. Sometimes establishing a common purpose or agreement to carry out a serious crime by the second-party defendant is very difficult as is the so-called â€˜withdrawal from joint enterpriseâ€™, when a person decided not to take part before the crime was committed. Appeals are also far more difficult to mount in joint enterprise cases. There is a vast difference between the lesser convictions and sentencing for affray, assault or manslaughter and a murder conviction which of course carries a mandatory life sentence. Where there is doubt, there are problems and the potential for injustice, no matter how heinous the crime.